If you are on a short business/leisure trip in Yangon (oldest name can traced as "Dagon", then "Rangoon" (once with a local name like Okalapa Aung Myae Yan Hnin and then finally reverted back to the current city name Yangon) and won't able to find too much time to visit many beautiful Burmese temples or Pagodas, along with the MUST-VISIT mother-of-all-Pagoda, Shwedagon Pagoda, the SULE Pagoda can be another alternate destination. 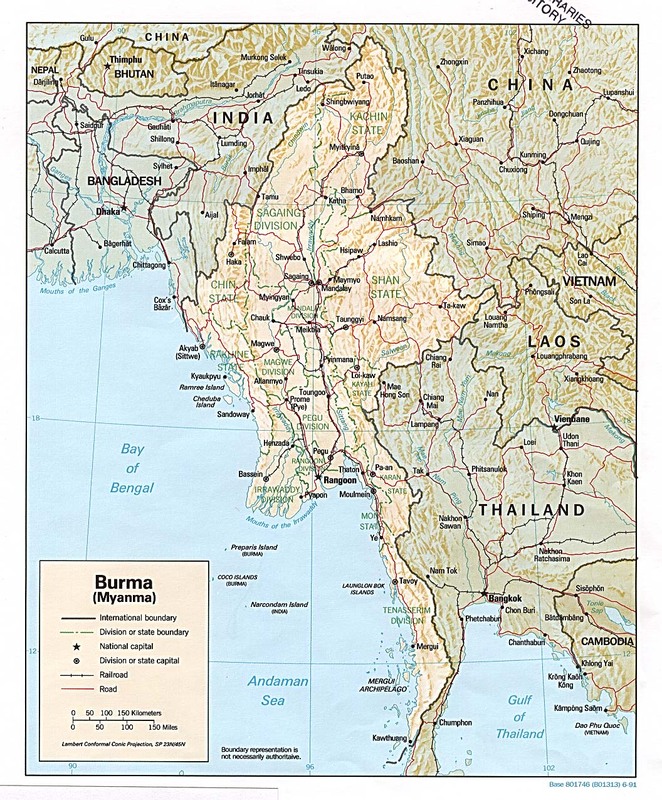 Simple because both are very short drive from any part in the city of Yangon. In particular, SULE Pagoda temple is just a few hundred years away from one of the popular business hotel called Trader's Inn (in fact, the road is simply referred as "Sule-Pagoda Road". Although Sule Pagoda is not as prominent as Shwedagon Pagoda in height ( approx. halved at 48 metres with the center dome) but it is located in the city and acted as an excellent landmark for direction. Similarly, the octagonal-shaped Sule Pagoda is also claimed to be over 2,000 years old and locals beliefs it enshrines a hair of the Buddha within the tip of the central dome. In fact, another legend suggests this was the decision making place to built the much larger Shwedagon Pagoda by an old Burmese King but as most locals would rather believing the Shwedagon is older than the Sule Pagoda, this can be also highly debatable issue. A distinctive characteristic of this pagoda is in its octagonal shape which continues right up to the tip of the Pagoda's bell and inverted bowl. Historians have claimed during British colonization, they used it as the nucleus* for the Yangon city planning and it has went through one round of major refurbishment in 1880s. Overall, the methods in practicing Buddhist ritual belief in Burma is quite difference from Thailand - over the centuries, Buddhism in Thailand has evolved a little because many localized idols and legends have been treated with great respect, which sometimes resulted in having gained more in their popularity. Besides the territorial religious practice & beliefs also seeing the north, central & southern Thailand may have preferences on their own. I think the promotion of Buddhism via personalized amulets & medallions via the last few centuries has made a world of difference (you cannot deny the fact it has transformed as an commodity and/or industry). <<< --- (144k Jpeg). A front view of the central dome after entering the Pagoda area. The temple is not exactly big in its areas but it sits in the middle of a busy traffic junction (like a roundabout). Wouldn't you believe - next to it is also a Mosque ! I thought that only can find such scenario will only happened in Malaysia, widely regarded as the most moderate Islamic nation in the world. One way or another, you can see how forgiving Buddhism is because if history is true, establishment of the Sule Pagoda could have been here before the mosque. 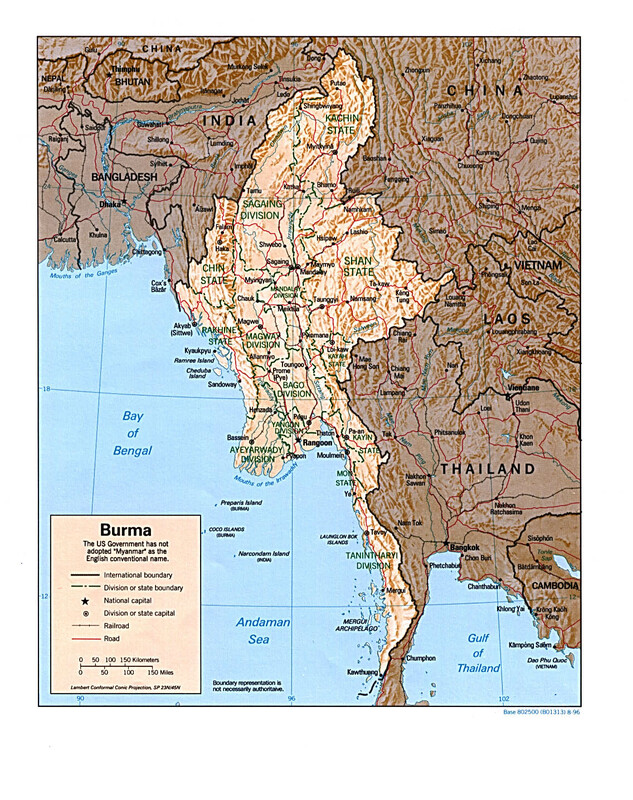 Anyway, partly it is also due to fact Myanmar shares a common political borderline with the hugely Islamic Bangladesh, influx of the Muslim neighbors over the centuries has many shop operators around Sule Pagoda and the Independence statue run by Muslims. The weather was not particularly favorable, picture taken at the side entrance of the Sule Pagoda, shoes or joss stick can be purchase at the main, front entrance. If you interest is on oriental Buddhist architecture studies, every corners and details of the aged Sule Pagoda is a perfect spot to begin. The SULE Pagoda has FOUR major entrances in its octagonal shape. Each of the four locations placed a white jade Buddha at approx. 3-4 feet tall. Many worshipers circled around the 4 Statues to pour water onto them - couldn't find an answer why but common logic is to cool the Buddha who protect the Pagoda all year round under the hot sun (pure guess work..). The main theme is the central dome of the Pagoda where the local legend or phase "Kyaik Athok" means "The Pagoda where a sacred hair Relic is enshrined"." was placed. So, if you are very familiar with the Thai styles in their unique way in Buddhism practices, the Burmese Buddhist is more straight forward in comparison, most often, at any temples, you can only see devotees strictly performing deeds of religious merits,The popular Thai way of wearing amulets is not popular here. I seldom even see temples have a section promoting amulets or pendants. I have not been to the North or North Eastern part of Burma during this trip, but a local told me the bolder areas could see localized small statues such as this very original (& very popular) Burmese version of the Nang Kwak called "Puah Kim" - approx. 5 " tall - where even many Thai local folks at the North West Thailand cities like Chiangmai and ChiangRai favor this image for prosperity in Business/Personal wealth.